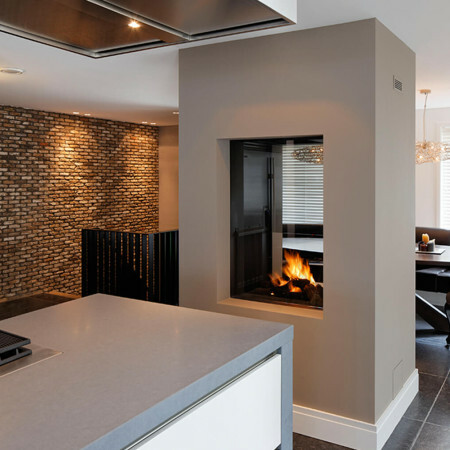 The 850 double sided fireplace is a wonderful design that provides a beautiful fireplace feature to two spaces. 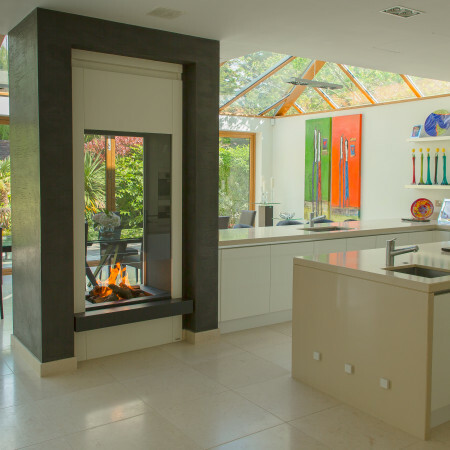 With glass up to eye level, a visual and light connection is maintained between two spaces and this double sided fireplace is an ideal way to connect two rooms i.e. installed between and kitchen and dining room or it’s a perfect way to create a focal point in a large open space without breaking up the light. If you are looking to hide structural supports, the 850 can incorporate the support into its structure, hiding these unsightly posts and turning it into a beautiful feature.